Start the Exchange Management Shell. 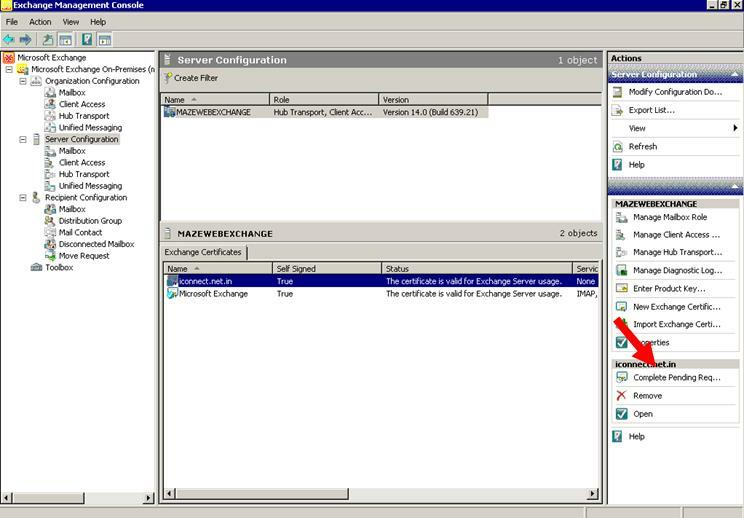 Click Start > Programs > Microsoft Exchange Server 2010, and then click Exchange Management Console. Select your certificate from the menu in the center of the screen (The certificate will be listed by the Friendly Name you chose when creating the CSR), and then click the link in the Actions menu to "Complete Pending Request". Browse to the certificate file you just copied to your server, then click Open > Complete. ATTENTION!! You may receive the following error: "The source data is corrupted or not properly Base64 encoded." You can ignore this error. Press F5 to refresh the certificate list. Verify that it says "False" under "Self Signed". 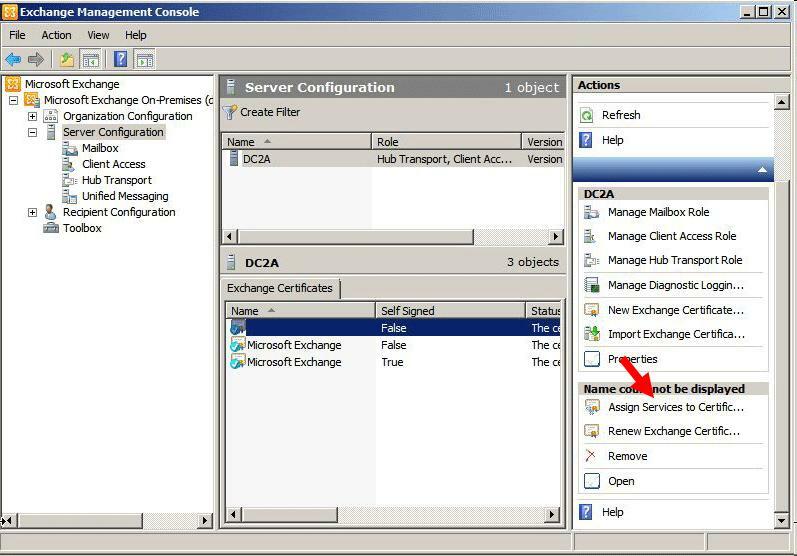 To enable your certificate, return to the Exchange Management Console and click the link to "Assign Services to Certificate." Select your certificate from the list provided, then click Next. Select the services for which you would like to enable your new certificate, click Next > Assign > Finish. Your certificate should now be Installed and Enabled for use with Exchange. Option 2: Use Exchange Management Shell. Start the Microsoft Exchange Management Shell by clicking Start > Programs > Microsoft Exchange 2010 > Exchange Management Shell. Import-ExchangeCertificate -FileData ([Byte]$(Get-Content -Path c:\your_domain_name.cer -Encoding byte -ReadCount 0)) | Enable-ExchangeCertificate -Services "IIS,POP,IMAP,SMTP"
NOTE: only the desired services should be specified by the Enable-ExchangeCertificate portion of the command.